Coatings result from the wide variety of reactions and/or processes that occur at the interface between the lithosphere and the biosphere, hydrosphere, and atmosphere. Such coatings are biochemically, mineralogically, and isotopically complex and have the potential to record changes in their immediate environment. The transition between a coating and its underlying host is abrupt and defined by a sharp interface at the nanoscale. 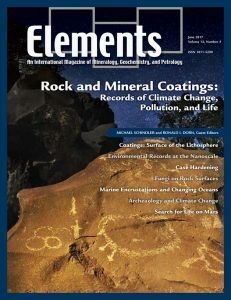 Articles in this issue highlight new and exciting research in the field of coatings, focusing on coatings formed in deserts, soils, sediments, oceans, and on rocks from Mars. Fifth in the periodic table, boron is a “light” element whose origin has puzzled astronomers as it is not created in stars. It is “lively”, being an essential element for plants, and having medicinal properties, which has stimulated synthesis of organic compounds containing boron. Borates such as colemanite are thought by some to have stabilized ribose, an essential component of ribonucleic acid and critical for the self-assembly of prebiotic organic compounds to constitute life, but others have proposed that ribose was stabilized by borate in solution. Boron isotopes provide insight on the processes responsible for creation of the continental crust, and have use as a proxy for paleoclimate. Extreme concentrations of boron result in economic evaporitic deposits, and thus water-soluble boron minerals, notably borax, have been among the most accessible of useful compounds to humankind, even in antiquity. 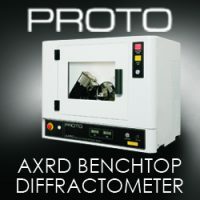 Coatings occur along interfaces between rocks and minerals and their environment. 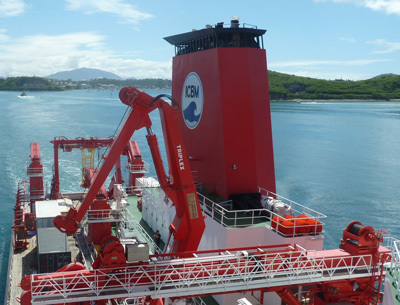 Coatings result from the wide variety of reactions and/or processes that occur at the interface between the lithosphere and the biosphere, hydrosphere, and atmosphere. Such coatings are biochemically, mineralogically and isotopically complex and have the potential to record changes in their immediate environment. The transition between a coating and its underlying host is abrupt and defined by a sharp interface at the nanoscale. Articles in this issue highlight new and exciting research in the field of coatings, focussing on coatings formed in deserts, soils, sediments, oceans, and on rocks from Mars. Past and present (a)biotic soil processes can be preserved by mineral surface coatings, which can sequester contaminants in soils and sediments. The coatings can contain complex assemblages of nanometer-size minerals and organic components. The formation, composition, and morphology of these complex mineral assemblages depend on, and hence reflect, the mineralogical and chemical composition of the substrate they develop on and the environmental factors in the surrounding soils and sediments. Mineral surface coatings typically contain complex and variable porosities, many with regions of limited fluid flow. 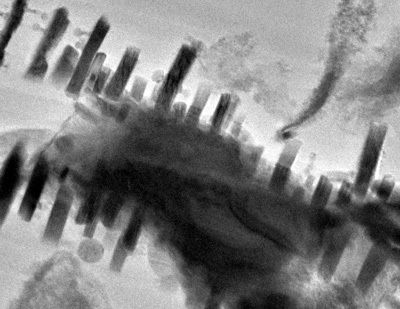 Low-flow conditions, combined with different nanometer-size phases in the interior of mineral surface coatings, allow coatings to sequester contaminant-bearing solutes, complexes, and nanoparticles. 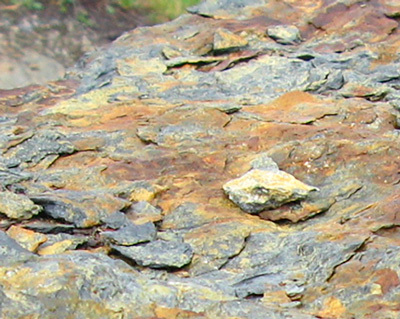 Case hardening is the process by which the outer shell of an exposed rock surface hardens due to near-surface diagenesis. Rock coatings and weathering rinds are distinct phenomena: rock coatings accrete on surfaces; weathering rinds derive from mineral dissolution and mechanical fracturing of the outer millimeters of a rock to create porosity. Ongoing reaction with rain, dew, or melted snow results in the downward migration of rock-coating components into weathering-rind pores. Initially, pore infilling protects the outer surface of the rock from flaking. As case hardening progresses, however, ongoing mineral dissolution underneath the case-hardened zone eventually leads to detachment. 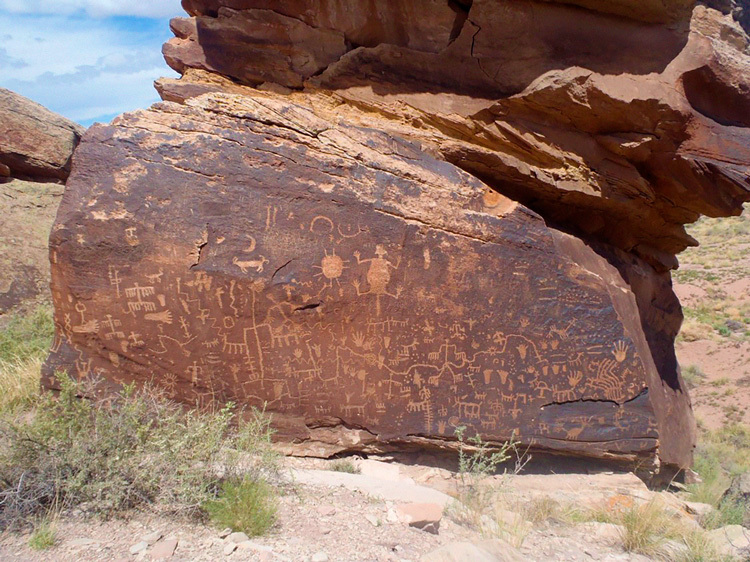 This sudden loss can destroy rock art, the surfaces of stone monuments, and facing stones of buildings. 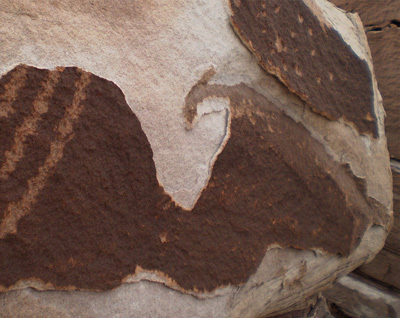 Rock varnish commonly occurs in arid environments. It can coat not only rock surfaces but also any exposed prehistoric stone artifacts and rock art. Thin sections of varnish coatings reveal microlaminations that reflect major changes between wet versus dry paleoclimates. 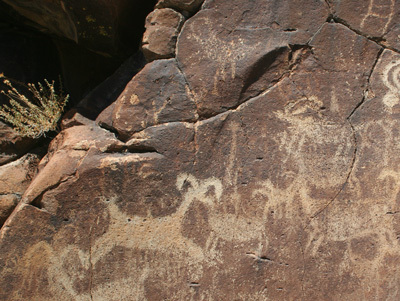 These microlaminations can be used to assign minimum ages to the underlying rock surface, providing dates for otherwise undateable stone artifacts and rock art. This dating approach has provided important information about the peopling of the Americas (North and South America), including how and when the native American populations adapted to changing climatic conditions. Rock coatings observed on the surface of Mars since the Viking landers of the mid-1970s continue to generate considerable interest in the field of astrobiology. Terrestrial rock coatings are associated with diverse microbial life, raising the question as to whether martian rock coatings might also be partly of biogenic origin. 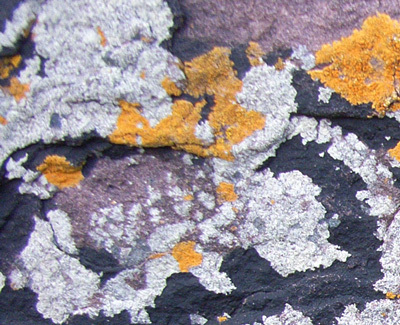 Rock coating formation can be mediated by microbes, which in turn are shielded from harmful radiation and can obtain nutrients from the coating. In addition, coatings may be indicative of life and can preserve its signatures. Pragmatically, rock coatings are surface environments accessible by Mars rovers. This article focuses on the habitability, preservation capability, and practicality of rock coatings as astrobiological targets on Mars.